"From 1974 until the early 1980s CCMC played at least two concerts a week, most of which took place in their own venue, The Music Gallery, in Toronto. The band was and continues to be a "free music orchestra" devoted to spontaneous composition. One look at the cover of the Vol 1 LP and its apparent that CCMC are not your typical hippy free-rock group, slick-suited jazz cats, nor tweed academic weekend composers. In fact, CCMC never really look like typical musicians at all, but rather like visual artists, family men, scholars, Canucks, ecologists, sculptors and radical adults they are. Similarly, their sound can never really be pinned down in the way that other devotees of "free" music usually are; never as dogmatic as AMM, as angry as American free jazz, as bleak as Japanese free jazz or as humorless as European free improv. CCMC are as comfortable playing toys and melodies as they were noise electronics and torrential freak-outs. In the truest sense CCMC were sonic explorers devoted to spontaneous free music, uninhibited by any restriction, be it melody, silence, genre, volume or instrumentation. 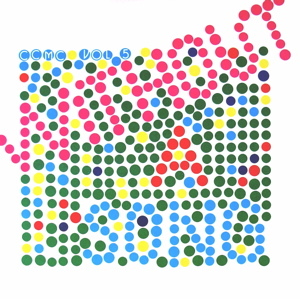 Free Soap is CCMCs masterpiece, especially the incredible real-time tone poem a.k.a. February 13th that takes up the first side of the LP. The piece begins with sparse strokes of marimba, trumpet, synthesizer, bowed bass and piano moving into the brilliant middle section which uses long silences in a way that anticipates Onkyo by over 30 years and then builds into an all out free-scorcher which sounds like it could have been off a Center of the World LP if not for the electronics and steel drum which keep it lifted, weird & diversely Canadian." - B. Hocura. "We would all be playing simultaneously and relationships would appear in equal and respectful side by side running not in commentary, not in fugues/imitations, not in accompaniments, not in team-work but in togetherness of our individual, ultimately alone lives. Being Together. … Sometimes with the CCMC the ensemble "running" … transcends the pack and the sound becomes so full, so charged, that it becomes a floating speeding electrical cloud. One cant tell what one is playing but one feels it to be ecstatically part of the Unity, one cant account for where any of the sounds are coming from, theyve all become one. Its an Eternity. This happened during a concert in Vancouver. I felt myself floating and the sound became visible light." - Michael Snow. Sealed copies of this 1979 release on the legendary Music Gallery Editions label (David Rosenboom, Peggie Sampson, John Oswald, Glass Orchestra, Lubomyr Melnyk, Nihilist Spasm Band, etc..). 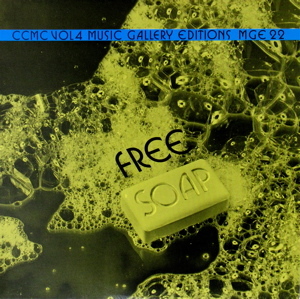 Recorded in January 1980, almost one year after Free Soap, Vol 5. Without a Song seems instilled with a new sense of humour and adventure. The LP finds the group quoting from lounge piano ballads one moment, whimsical comedy soundtracks the next and then lifting off into a full force freakout. The dynamics are incredible, with the band achieving the kind of volcanic volume associated with Japanese noise groups almost 15 years later, followed by passages of serene beauty and near silent micro-dynamics. Its a truly enlightening ride, one that provides startling new insights on every listen." - B. Hocura. Sealed copies of this 1980 release on the legendary Music Gallery Editions label (David Rosenboom, Peggie Sampson, John Oswald, Glass Orchestra, Lubomyr Melnyk, Nihilist Spasm Band, etc..). After the untimely death of Larry Dubin in 1978, only 47 years young, Michael Snow compiled what he and the group thought were some of the best recordings that really emphasized the unique drumming tsunami that was Larry Dubin. The resulting 3 LP box set, financed with money left to Snow in Larry Dubins will, shows an incredibly diverse body of work from the unmatched torrent of electricity/percussion that is Circuitry to the tumultuous tone float of Radio in a Stolen Car. The breadth of sound across these 6 sides of vinyl is truly staggering." - B. Hocura. "Dubin is a subtle and great musician; had he emerged in New York he would probably be influential… With the CCMC Larry would often drum/run along beside the rest of the music. He would pace it. His playing would be parallel to and equivalent to the other music. We would all be playing simultaneously and relationships would appear in equal and respectful side by side running not in commentary, not in fugues/imitations, not in accompaniments, not in team-work but in togetherness of our individual, ultimately alone lives. Being Together. … [Dubins] sensitivity to all sound didnt come from reports of the attitude of John Cage. Larrys formative experiences were local, experiential, not "academic." In that sense he was a folk musician. … To the ways of ecstatically roaring into the future that the greatest Jazz drummers developed he Responded with his own kind of Continuity that in general avoided the compartmenting and bracketing of most Jazz drumming in favor of a flow with few edges. He seemed to conceive of a kind of absolute top speed tempo and from this musical-psychological equivalent to the speed of light he would reactively choose sub-tempos around which vibrations would be organized. His playing was very varied but was built around snare drum rolls which swelled and subsided from oceanic roars to tender caresses and which by their metamorphosing continuousness made a wall of tactility which was a constantly responding Place for any other sound Event that needed a place to take." - Michael Snow. New/unplayed copies of this 1979 release on the legendary Music Gallery Editions label (David Rosenboom, Peggie Sampson, John Oswald, Glass Orchestra, Lubomyr Melnyk, Nihilist Spasm Band, etc..).